The route Miguel ran, the last 1.8 miles that the marathoners were going to run later that day. I can't believe that Marathon Sunday is over and that it's already been a week. After a year of planning, of training and dreaming it's all over now. to participate in the race. We were up at 5am and at his school by 6:15am, a beautiful sacrifice that's worth it in every way. His race started at 8:45am, we waited by the sideline and it was great to cheer him on. 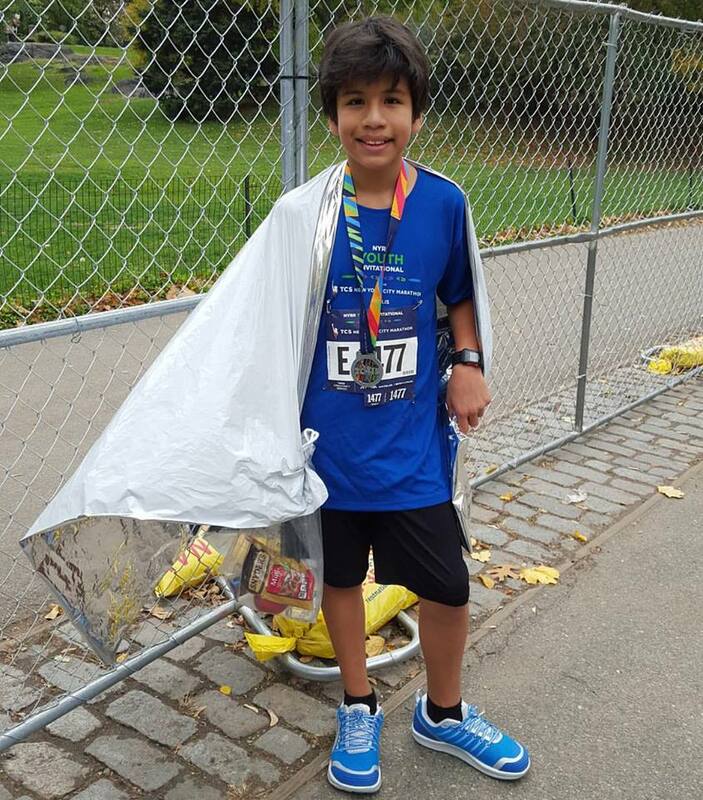 At the end of the race he was given a medal, heat warmer and a bag with apple, pretzels and bar. 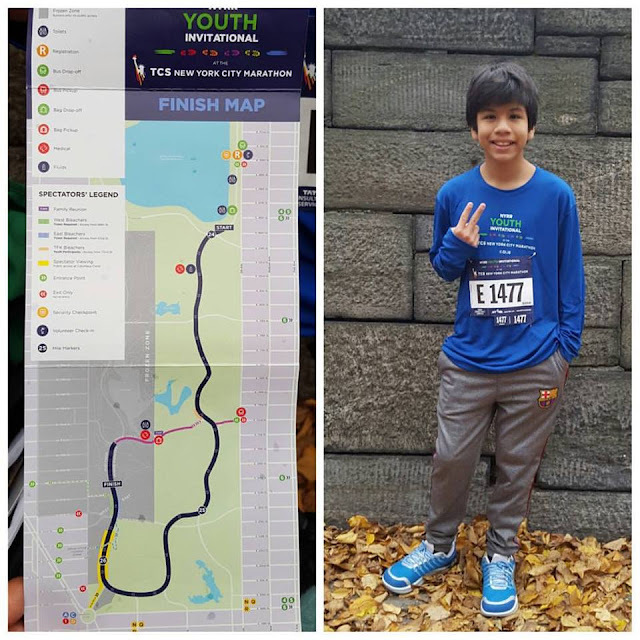 Like a real marathoner, they really made it a special and memorable day for all the kids. We had time to spare before going back to the park to cheer on my dad, so I took the kids to eat some breakfast and than went back to the park with my mom and family to wait for my dad by mile 24. 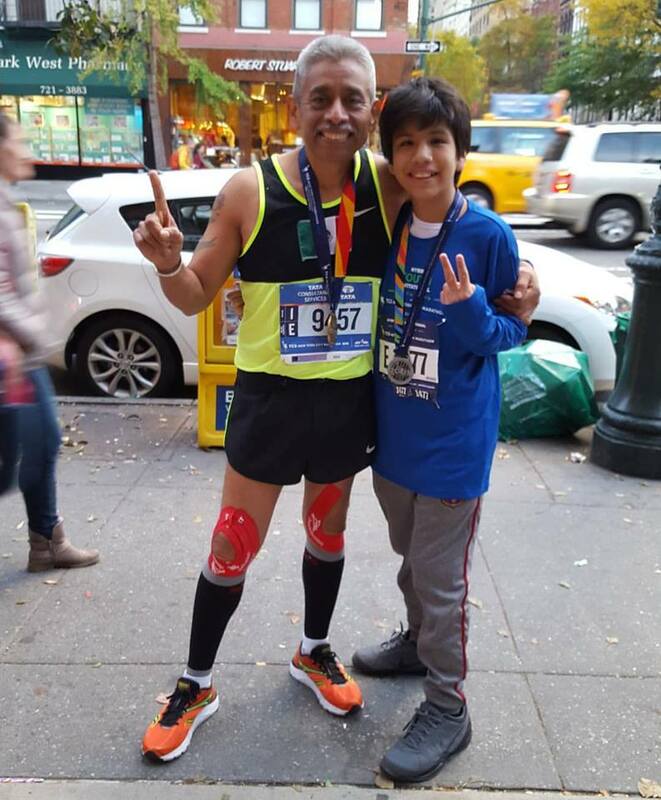 It was great to see him go by and ready to finish his 15th marathon. 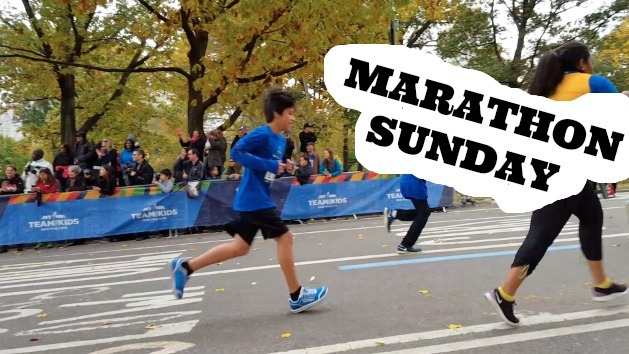 Marathon Sunday is full of lots of inspirational runners, all with a different story. My Dad The Ultra Marathoner! !